Exercise is definitely a very physical activity. It is what builds up stamina, increases physical resiliency and ability, and builds up muscle tone. We also know that exercise helps stave off a chubby puppy. What many people don’t realize is that exercise is also directly related to a dog’s behavior. When we look at behaviors like hyperactivity, jumping on people, running wild, destructive chewing, digging, running away, excessive barking, etc., these are all annoying behaviors that can often be directly linked to a dog not being exercised enough. The goal of exercise is for a dog to be happily tired each day. The amount that is required is different for each individual dog. The higher energy the dog has as a base level, the more exercise each dog needs to do. Exercise should be varied for the best results. The best and easiest way to begin an exercise program is with a general brisk walk, but one can also jog when the dog is an adult dog. Additionally, be creative! Exercise can include tracking activities, Frisbee work, fetch, herding, agility, treadmill work, and water exercise. An exercise program becomes even more important for a dog geared towards performance or endurance work. These dogs not only need to exercise, but they also need to build up stamina in order to be able to perform over a duration of time. Exercise programs must be slowly increased to build stamina and not over exert the dog. You must also remember to rotate the type of exercise so as to not accidentally encourage a stress injury in the dog. A dog also needs to have plenty of warm up time to stretch his muscles prior to heavy exercise to avoid injury plus a cooling down time after heavy exercise. Loosely, this means that before your dog does competition height jumps in agility he should warm up with practice jump heights and leg stretches. If you are jogging for two miles with your dog, you should walk the first quarter mile to warm him up and slow to a walk the last half of a mile to cool him down. You are what you eat as the popular expression goes, and it is true for our dogs as well. Diet plays a very important role in our dogs’ lives. It is what nourishes them, gives them the energy to play and work, and keeps them healthy. There are so many diets available to give our dogs that it can be confusing what is best. You should always read an ingredient label when selecting a food to really find out what is in the food. Ingredients are listed in the order of volume/weight in the food, so it is a good idea to not see grain items or fillers as the first ingredients. Instead, you want to see a meat protein listed first and ideally have a meat protein listed more than once in the top ten ingredients. Dogs are not obligate carnivores so don’t actually require an all protein/meat diet. Grain free foods are the new popular item in the dog food industry. There is nothing wrong with these foods, but the excess amount of protein is not necessary or fully utilized and could be harmful to an older dog who might have already developed kidney disease. Foods that have grains in them are not bad foods at all. The main concern is the level of quality of the grains utilized in producing the food. Corn is one example of a very cheap ingredient that many lesser quality foods use to bulk up the food. It is truly used as a filler and has little nutritional value for dogs. When reading a dog food label you should always ensure that the food meets all nutritional requirements for dogs for the life stage of your dog. Foods geared to All Life Stages must meet the requirements of every age of dog. Many bags also list the caloric content of the food. If not, a visit to the manufacturer website is a good idea as not all foods are created equal. You might feed two cups of one brand of kibble to equal one cup of kibble from another brand. Additionally, caloric content is important because not all dogs need a higher calorie food. 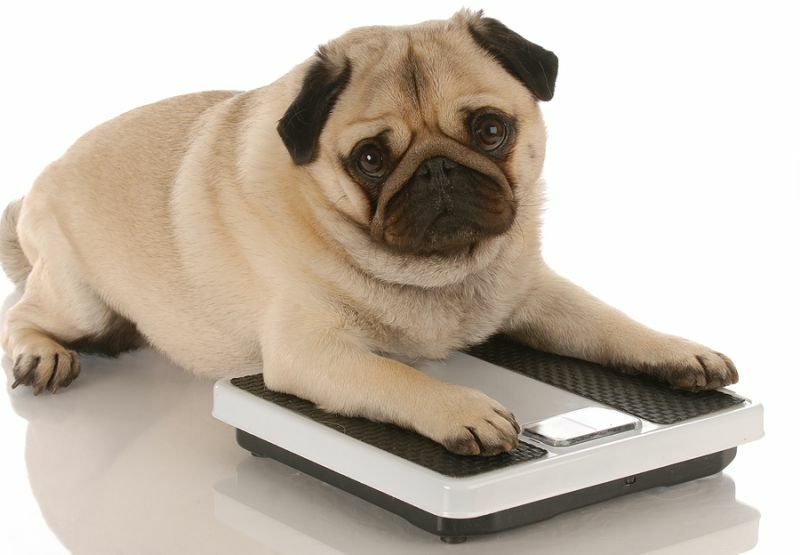 Pet dogs can become fat quickly with too many calories. On the flip side, a performance or working dog easily uses more calories than the average dog, so a food made for high performance dogs with more calories is a good and necessary thing. Even when using a kibble for the primary part of your dog’s food, you can also add in freshness for variety for your dog. Fresh foods have active enzymes in them that are often missing in cooked or processed kibble. These enzymes are essential for your dog’s health, so fresh vegetables like green beans and carrots add crunch and flavor and lightly boiled fish or chicken add a taste of fresh protein. When we talk about training and how treats might factor into a dog’s diet, we do have to take into account calories again. Some dogs will work for basic kibble and this can be utilized at home. Most dogs will require more than kibble to train in a new location initially. This means that you should lower your dog’s kibble amount on a day when you will train with alternate treats by about 10% or so. If you are worried about giving your dog people food as a treat, try some of the dog foods that are produced that are more treat like. Several manufacturers make dog food that is all meat and jerky-like or is sausage roll shaped and sliceable. These are fully nutritional and are dog food but are higher value than kibble for treat usage. You can use these without feeling guilty, and they are readily available at pet stores and on-line. Remember, a proper combination of diet and exercise is the fuel your dog uses for his daily life. It is imperative to provide him with the highest quality food you can afford and combine it with plenty of daily exercise to give him the best health.